Fantastic news from Blue Lake – Dell'Arte gave out 10 Blue Lake Rising grants last night following the inaugural Mad River Alliance Steelhead Days event. 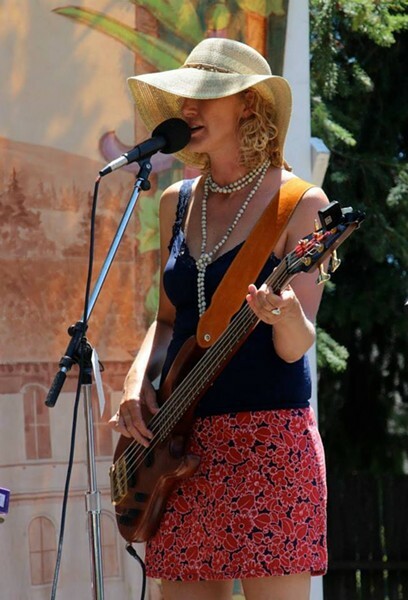 Blue Lake resident and musician Claire Reynolds shared an overview of the awards, including one bestowed on her band, Patronus. "The projects ranged from the Old Crows' plan to put in a bench on the levee trail to an elementary student planning a percussion workshop for kids. Patronus got a grant to make a music video that represents the town, its people and places. All of the projects must be completed by July 2014, so things will be happening quickly." More on Blue Lake Rising.